Dana Ahmed, called Dee by her loved ones, is a 30 year old fashion blogger with a BBA in International Business. Born and raised in Abu Dhabi, Dana is one of the most relevant influencers of the Emirati capital. She started with her blog in 2015 and has since collaborated with iconic brands such as Dior, Max Mara and NET-A-PORTER. Dana participates every season in fashion weeks in Milan and Dubai. She loves being able to connect to a wider audience via social media and shares her thoughts and ideas on health, lifestyle and beauty as well as fashion. 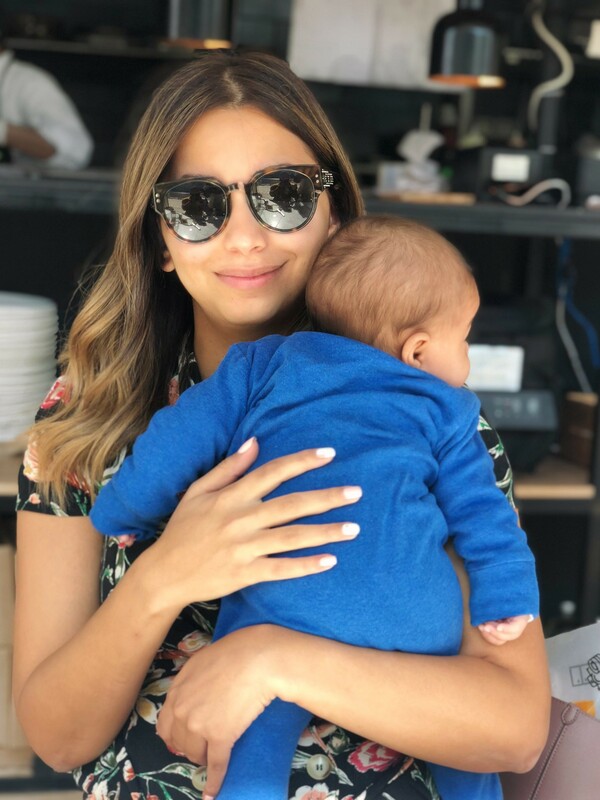 We really connected with Dana’s upfront style on her Instagram and loved catching up with her about motherhood and why she decided to store her son’s stem cells. I heard about it almost 5 years ago when my sister delivered her baby. I didn’t think too much about it at the time but when I became pregnant, I wanted to know more. As soon as you understand you’re going to be responsible for this little person, you want to do everything you can for them. It’s amazing how technology can help us to cure our children and family from certain diseases if god forbid, they get it. With the option of freezing and saving the stem cells we give our family the chance of health in the future if they need it. I’m really quite amazed by the potential that stem cells have. The range of diseases and conditions that are now being treated with stem cells is incredible. It changed a lot! I put in all my effort, time and to be honest everything for my child. Of course, I’m still working and I’m enjoying my life, but my son is now my first priority. It’s amazing how your life is turned upside down by the arrival of this tiny human, when you realise that they are the most important thing in the world. I only have one child called Adnan. He’s almost 5 months now and it’s amazing how he’s growing up so fast! I’m trying not to miss anything! His first smile, his first giggle, and his first meal! I capture everything and enjoy every moment. Being a mom is the most wonderful thing in my life. How do you balance work with being a Mother? I’m not going to lie it’s not easy, but it motivates me even more to work hard and do more for him. I think it’s important to show him that you have to work hard in life to get where you want to be. It’s also good to have something that is just for me. Work is somewhere I can be myself and express my style. What advice can you give to first time mothers? Accept help when you need it and reject it when you don’t! Don’t compare yourself to other mommies, because each one has a different experience. No matter what you feel, you are always doing an amazing job! Just try to enjoy every moment with your baby because they grow up so fast. Yes a lot! I still get a lot of questions from people asking whether they should go for it and how does it work and whether I recommend doing it. My answer always is: If you can afford it then definitely yes! It’s the best decision my husband and I made and ultimately, it’s the best gift we could give our child.